There are a number of great Vietnamese restaurants around Berlin serving authentic, Vietnamese cuisine. Noodle dishes, soups, meat and seafood dishes as well as a wide range of Vegetarian options. Vietnamese cuisine would have to be one of the healthiest in the world with an emphasis on soups and fresh vegetables. 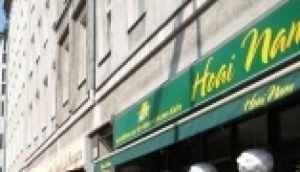 It is also one of the cheapest food options in Berlin meaning that it wont be too heavy on the hips, OR the hip pocket! With restaurants located all around Berlin, you wont have to travel far for some great tasting, healthy Vietnamese food.